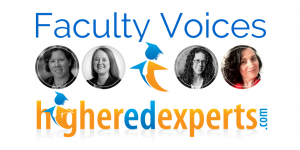 Higher Ed Experts Blog where we share news, reports, faculty and alum articles and much more. Karine Joly’s personal blog, collegewebeditor.com – Higher Ed Experts Founder has blogged there for more than 10 years. 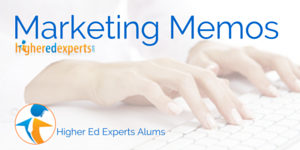 Looking for 1 weekly email newsletter covering everything? 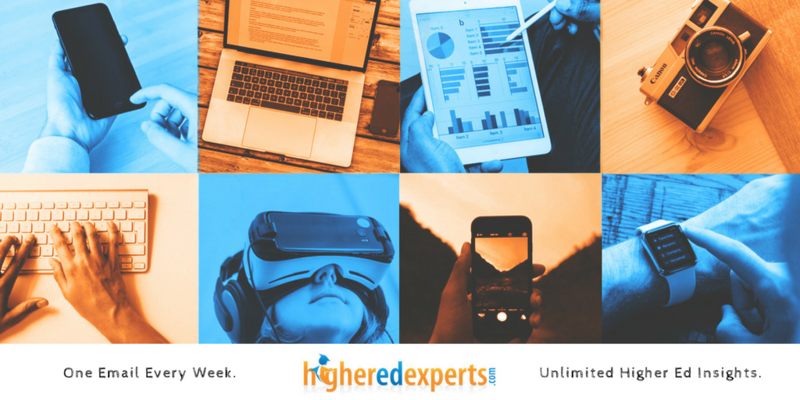 Let us help you get all the news you can’t miss to keep up with the demand of your higher ed job. Check out the recent archives of Karine Joly’s weekly email newsletter sent to thousands of your colleagues every Wednesday morning since December 2008.